The way you treat your trees will affect how they grow. Proper tree pruning can help trees grow strong and healthy, and help protect them from disease. 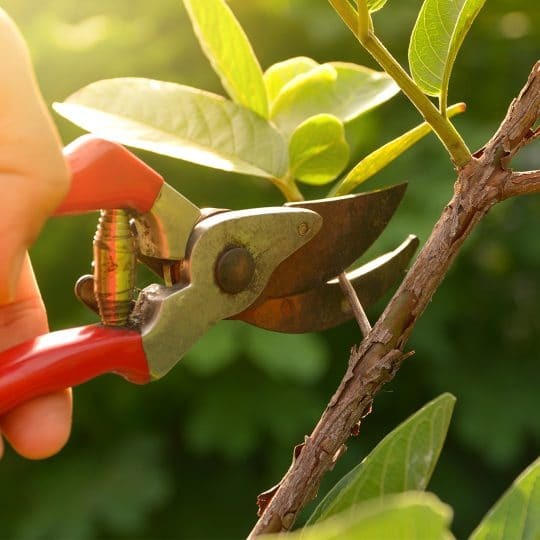 Follow the tips below when pruning for optimal results. Before you begin pruning, make sure your tools are sharp. One-hand pruning shears with curved blades work best on young trees. A taller pole pruner is best for higher branches. When your tree needs pruning, start from the top and work your way down. If your tree is too large, and you can’t reach the top branches with a pole pruner, call a professional to help prune your tree. Don’t get on a ladder with sharp pruning tools, especially if you’re not sure what you’re doing. Don’t prune up from the bottom any more than ⅓ of the tree’s total height. Side branches should be at least ⅓ smaller than the diameter of the trunk. Encourage side branches that form angles ⅓ off vertical—10 o’clock or 2 o’clock angles with the trunk. For larger branches, cut outside the top branch bark ridge and bottom collar—the swollen area of the branch. Don’t leave a stub. Cut closer if the limb is too thin to have formed a collar. When shortening a small branch, make the cut about ¼ inch above a lateral bud or another lateral branch. Pick a bud that will produce a branch that grows in the desired, outward direction. 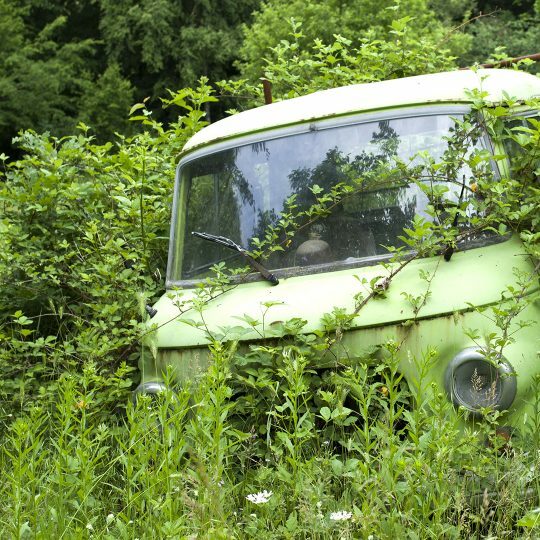 For more specifics on pruning certain trees and bushes, contact the specialists at Elite Tree Care. 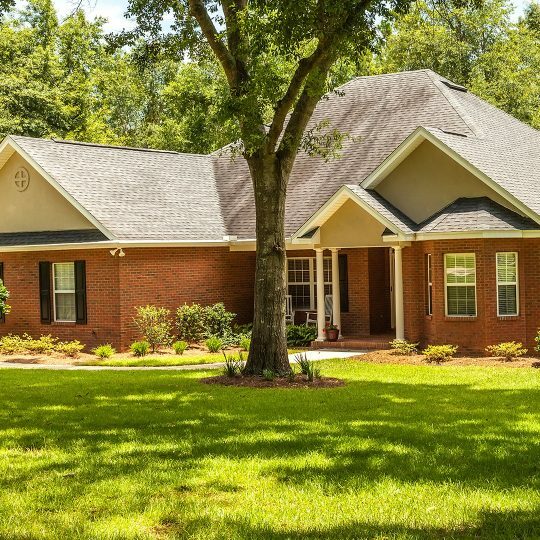 Help keep your trees happy all season long with proper care, maintenance, and pruning techniques. Learn how, when, and how much to trim or prune your trees to maximize their health and beauty. 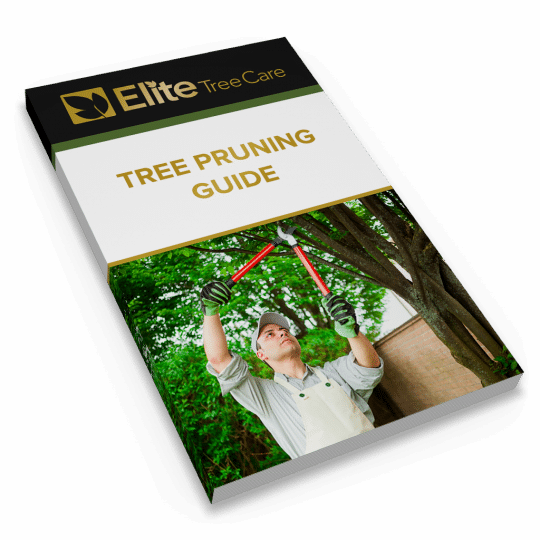 This guide covers the factors that go into tree trimming (pruning) and will help you make a more informed decision about hiring a professional tree service.